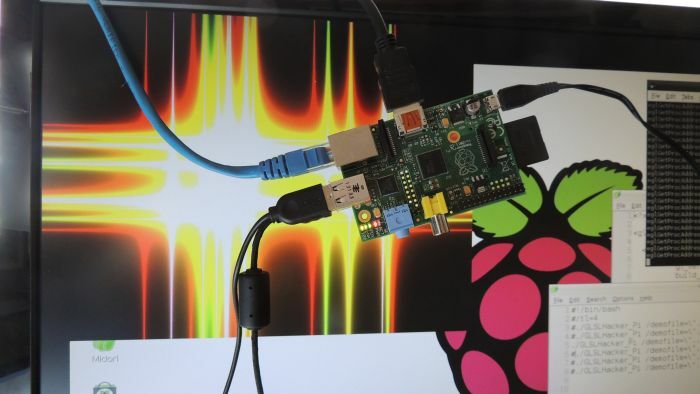 GLSL Hacker for Raspberry Pi is available HERE. I spent these few last days playing with my Raspberry Pi board and porting GLSL Hacker to this tiny computer. 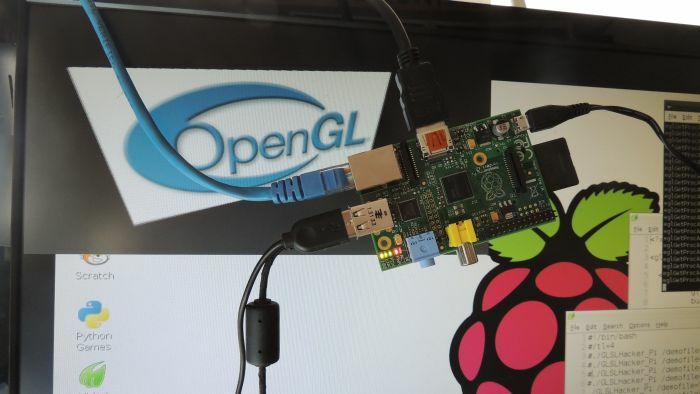 That was my first contact with OpenGL ES and the way to get a hardware accelerated window under Raspbian, the Debian-based operating system optimized for the Pi. The nice thing is that Raspbian has all the tools I need to build GLSL Hacker: text editor, gcc/g++, OpenGL ES headers and libs and code samples. I installed absolutely nothing. I directly updated GLSL Hacker source code and compiled it on the Raspberry Pi, it was a bit slow but usable (I will try with a faster SD card to see if that will reduce compilation times). I must say that I’m too lazy to tackle the configuration of a cross-compiler system, that’s why I compiled directly on the Raspberry Pi. An OpenGL ES 2.0 vertex shader is based on the OpenGL 2.0 specification (attribute and varying keywords) but has no fixed function pipeline (no gl_Vertex for example). For the Raspberry Pi, 60 is a too high value, I had to decrease the max value to… 4 to get something on the screen. 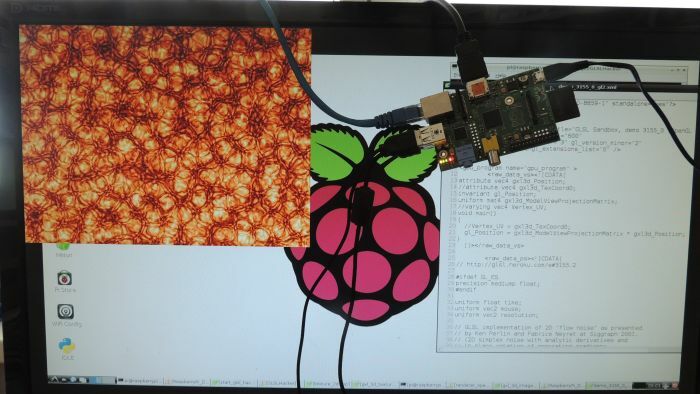 So many demos based on raymarching won’t work on the Raspberry Pi because of this limitation. 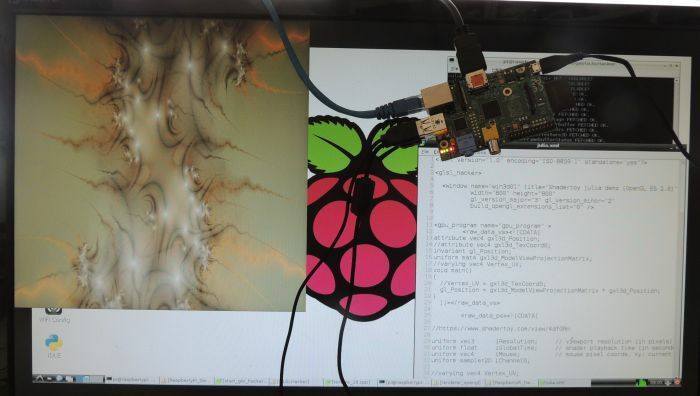 That being said, it’s cool to see some GLSL Hacker demos running on the Raspberry Pi. I will release a DEV version of GLSL Hacker for Raspberry Pi as soon as possible.